Changes of community structure in response to competition usually take place on timescales that are much too short to be visible in the geological record. Here we report the notable exception of a benthic marine community in the wake of the end‐Permian mass extinction, which is associated with the microbial limestone facies of the earliest Triassic of South China. The newly reported fauna is well preserved and extraordinarily rich (30 benthic macroinvertebrate species, including the new species Astartella? stefaniae (Bivalvia) and Eucochlis obliquecostata (Gastropoda)) and stems from an environmentally stable setting providing favourable conditions for benthic organisms. Whereas changes in the taxonomic composition are negligible over the observed time interval of 10–100 ka, three ecological stages are identified, in which relative abundances of initially rare species continuously increased at the cost of previously dominant species. Concomitant with the changes of dominant species is an increase in faunal evenness and heterogeneity. 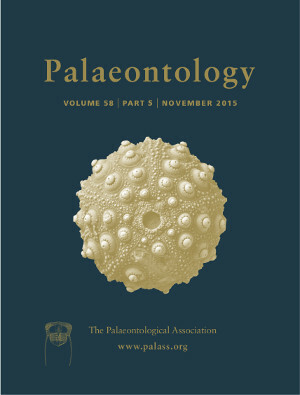 In the absence of both environmental and taxonomic changes, we attribute this pattern to the long‐term effects of interspecific competition, which acted at an unusually slow pace because the number of competing species and potential immigrants was dramatically reduced by the end‐Permian mass extinction. We suggest that these non‐actualistic conditions led to decreased rates of niche differentiation and hence to the delayed rediversification of benthos that characterizes the aftermath of the greatest Phanerozoic mass extinction event. A hyperbolic diversification model is proposed, which accounts for the positive relationship between the intensity of interspecific competition and the rate of niche differentiation and resolves the conundrum of delayed rediversification at a time when niche space was largely vacated.